Brian Berryman received his Bachelors of Science degree in Wildlife Management from Texas Tech University in 1985. He then attended St. Mary’s University School of Law. 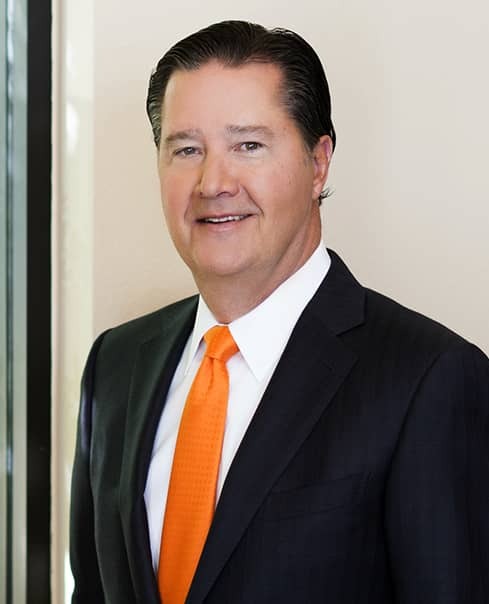 After graduating from law school in 1989, he joined and was made partner at a prominent San Antonio insurance defense firm where he practiced primarily defense litigation for approximately 12 years. He then joined Mikal Watts and the predecessor firm of Watts Guerra, with others, in 2001 to open its San Antonio office. His litigation practice has covered a wide variety of areas, including general negligence, agricultural litigation, construction, environmental, insurance, business torts, commercial litigation, agriculture, real estate, and product liability. Since opening the San Antonio office, he has litigated in all areas of the practice and directed the development of the office in San Antonio and the surrounding areas. While being in the San Antonio office, he has been involved in litigation resulting in many multi-million dollar recoveries for our clients. Mr. Berryman a native of Corpus Christi, Texas, but has resided in San Antonio for over 30 years. He is married and has two beloved sons.